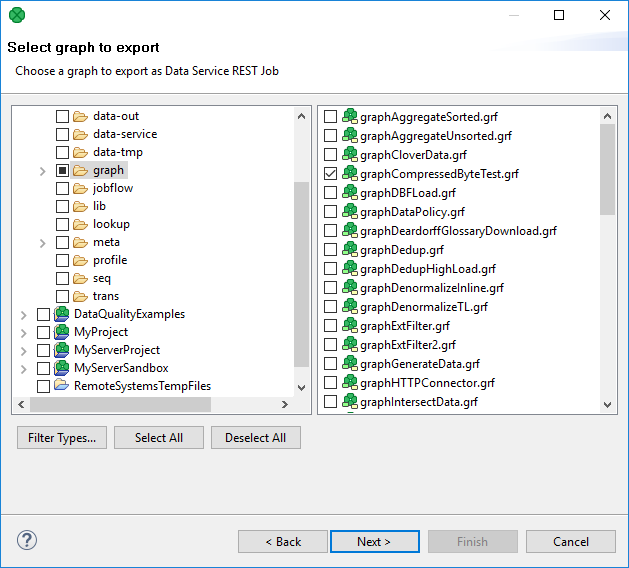 You can convert a graph to Data Service even if you are not in a server project. In main menu, select File → Export. 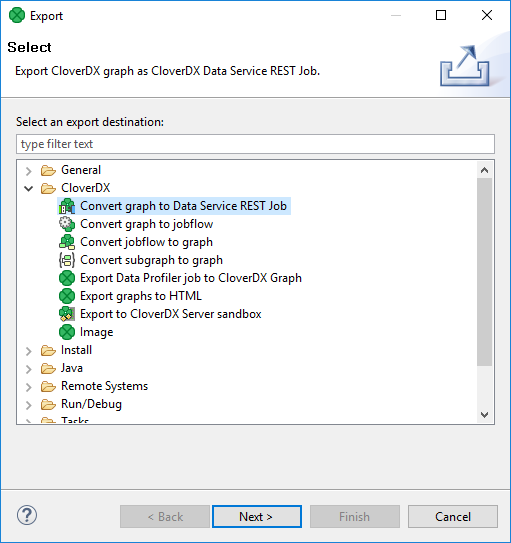 Expand the CloverDX category and select Convert graph to Data Service REST job. Figure 52.4. 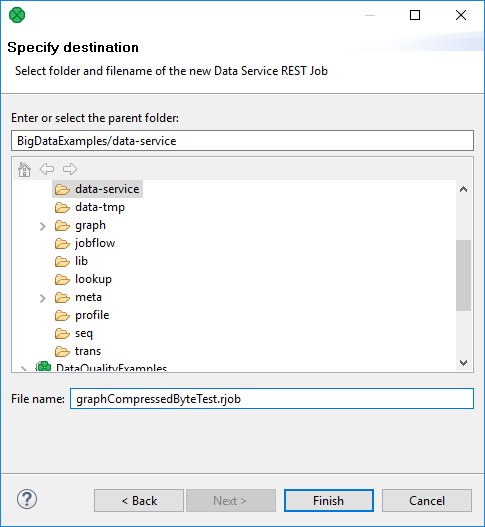 Export to Data Service REST job - I. Select the graph to be converted. Figure 52.5. Export to Data Service REST job - II. And set the name and location of the new Data Service. Figure 52.6. Export to Data Service REST job - III.